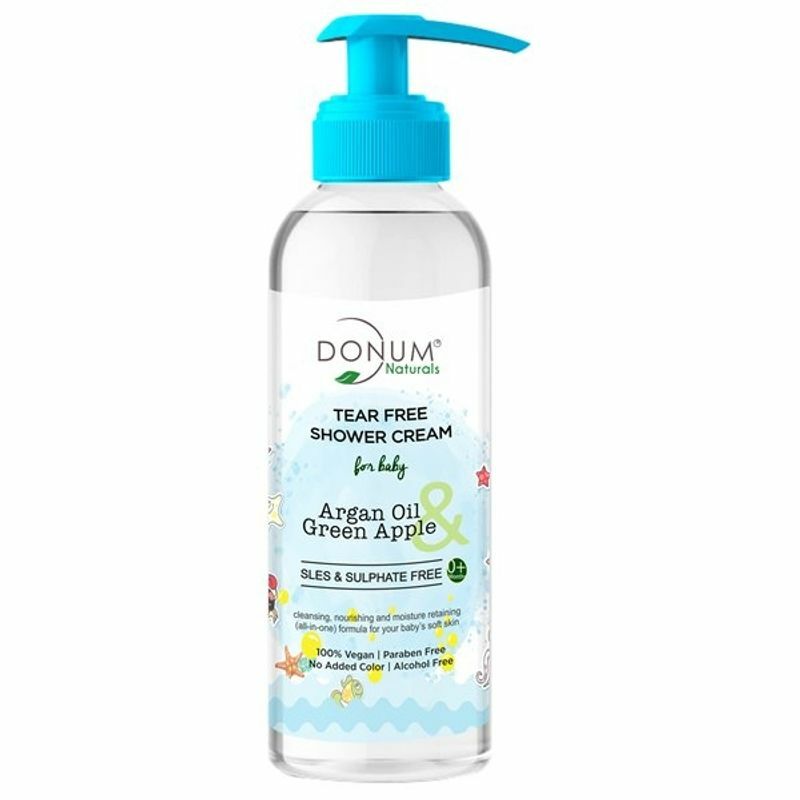 Enriched with essential oils and Vitamins, Donum Naturals Tear Free bubbling body wash is a natural blend of Argan oil, grape fruit extracts, Vitamin F and more to make baby's and mommy's bath time a delightful experience. Light foaming, pH balanced formula refreshes and nourishes sensitive skin, without dryness or irritation, for a soft and comforting feeling. Restores the skin moisture barrier and helps improve smoothness and suppleness. It effectively cleanses and rinses, leaving your baby's body nourished .Donum Naturals Tear free range of bath time products are especially formulated with natural vegetable derived and coconut based cleansers that are mild, gentle and doesn't contain sulphates (SLS & SLES), or parabens.This natural, light foaming ,sulphate free formula prevents skin from dryness while disinfecting and retains the natural moisture levels intact. Vitamin F nourishes skin cells deeply & naturally exfoliates and removes dead skin cells . Explore the entire range of Bath Time available on Nykaa. Shop more Donum Naturals products here.You can browse through the complete world of Donum Naturals Bath Time .